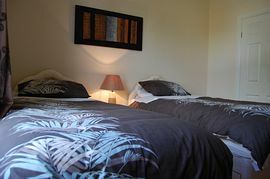 QL self catering/serviced apartments are close to the town centre of Maidstone. We are only a fourty five minute train journey from London Victoria station. Maidstone is located in the heart of Kent with excellent connections by road and rail to London or the Ferry ports in Dover or the Euro Tunnel. Businesses are thriving and the town offers a wealth of leisure, shopping and night life. All the apartments are fully furnished and equipped. They vary in size from sleeping one to five persons. Each has a huge living room kitchen and bathroom. Wooden flooring throughout and tastefully decorated. Large screen Plasma televisions with digital channels and DVD players. Free WiFi access for working from home or simply browsing on your laptops. 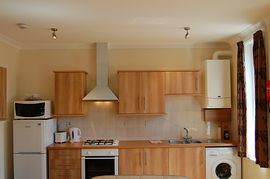 All facilities of home such as microwave toaster tea and coffee, washing machine fridge freezer, radio alarm clocks, all crockery and utensils and much more. Off road parking is available. We offer a free pick up service from local bus or train station. We can arrange for Airport pick up or drop off. Historic Leeds castle is close by as is the house of Winston Churchill. QL apartments offer the ideal base for exploring the gardens of Kent or events at the Kent county show ground or the Hop farm. For students of Osteopathy we are close to the clinic for the European school of osteopathy. We are a five Minute walk from Maidstone East Maidstone west and the Barracks railway station. Leave M20 at junction 5 onto Maidstone A20. This is London Road, Buckland hill is the eighth turning on left. 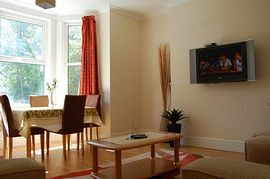 Single person stay at £50.00 per day. More than one person charged at £35.00 per person per day. Open all year. Check in check out at all reasonable times. Not before 9.00am or after 10.00pm.